If you've done your part in hiring or training a model employee who ended up leaving your practice after a few months, you're not alone. High turnover is a common concern among eyecare practices across the country. Even your top-performing employees can leave for a multitude of reasons including job satisfaction, salary, or lack of job growth. We understand that high retention and low staff turnover are necessary to maintain the efficiency of your eyecare practice. 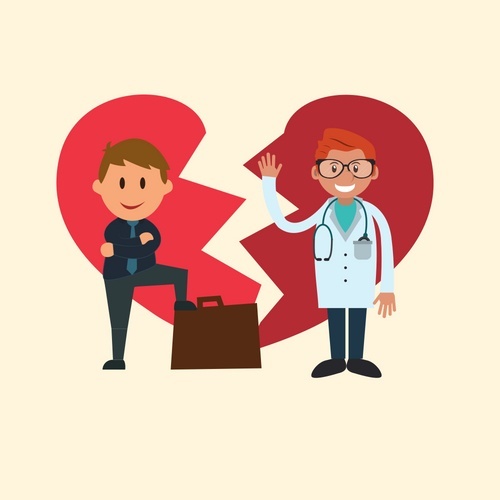 Therefore, we've rounded up the top 4 reasons your best employee leaves your eyecare practice and how to retain your employees by making them feel respected and valued. A big reason employees, not just optical staff, leave any organization is because they're unsure of their career path, job growth, or future in optometry or healthcare. When they cannot visualize their growth within your practice, they search for higher paying positions or a change of business. A lack of direction is easily prevented with good management practices, leadership, and supportive techniques. Solution: Make sure you're meeting with each individual member of your staff once a month, even just for 30 minutes, to discuss their goals, concerns, performance, and opportunities. Help guide their career in optometry with specific questions and quarterly goals for them to meet to track their performance. 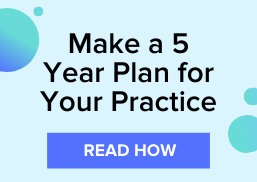 Not only will you develop stronger relationships and a sense of belonging in your practice, but you'll also be aware of any issues or distress before it arises. Dissatisfied employees might become discouraged with their routine, reactive when it comes to taking on new projects, and seek opportunities at new eyecare practices. Unfortunately, even if you take preventative measures and develop a good, working relationship with your top-performing employees, they might just grow bored or unhappy with their responsibilities. This can lead to lower productivity and even hurt your profits if it continues long-term. Solution: You can start with small, morale-boosting activities like a monthly team lunch, peer-recognition programs, and even just cakes for staff birthdays. Rewarding your employees for a job well done can go a long way in making them feel confident that they're in the right position and under the right management. Of course, employees want to earn the maximum amount. If they aren't dissatisfied with their work responsibilities or growth opportunities but still directly express feelings of being undervalued, you have to ask yourself a few questions. Do you pay your employees hourly or salary? Do you offer a 401k or other benefits your competitors offer? Are you paying them the market average for their roles and your location? Solution: If you've done your research on salaries in the area, do your best to match the average and maybe get creative by adding a benefit or perk for a competitive edge. Something as simple as providing breakfast on Mondays can show employees you are investing in them and will reward those high-performers. Maybe a new eyecare practice opened near you recently and they're aggressively recruiting with flashy perks, updated technology, and innovative marketing techniques. Sometimes these competitors offer a higher salary and benefits that an employee, no matter how satisfied they are with their current positions, cannot pass up. Solution: Gain your own competitive edge by keeping up with industry trends. Also, regularly check-in with your valued staff members and let them know to come to you first if a competitor has offered them a position. Especially for employees who have been part of your family for a few years, offer them monetary incentive to stay. In the long-term, it will cost you less to give the employee a raise than to train new staff. Looking for more ways to increase your efficiency? Subscribe to the VisionWeb blog.